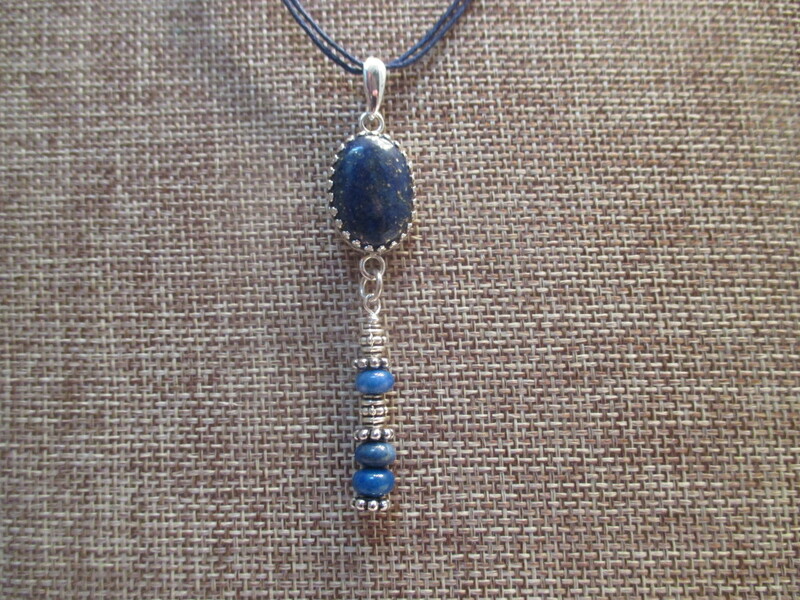 This pendant has a pretty real Lapis stone that is bezel set. I have attached a bead design of Lapis beads combined with silver tone spacer beads. The pendant is about 2 1/2" long . It will come on a double strand navy cord with clasp. The cord is 18" with a 2" extension. You an easily put it on a sterling silver chain also, so you will have 2 different looks.